I just finished reading this book in three days and found it fascinating. Most books on the subject are about basic rituals or doctrine and don't give a sense for how Sufis actually live and teach. 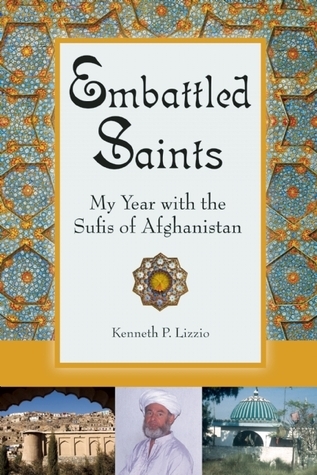 Lizzio writes about this Sufi order from the inside and his account raises many things that are not to be found in books on Sufism, especially how physically wild mystical life is in Islam. His personal experiences of living in the tribal area, while not mystical, were equally fascinating. Recommend highly. For the last few days my soul has been traveling in Bara Valley with Sufis while I am in a crowd DC metro station and trains. I liked this book because it explains daily chores in khanaqahs,it describes states and stages of dzikr. When I read "Eat, pray and Love" I really wanted to read similar explanatory book to Sufism and this book helped me to understand how things work in Sufi khanaqahs. I have read academic books on Sufism before and this book added to my understanding with its sweet taste of personal story.